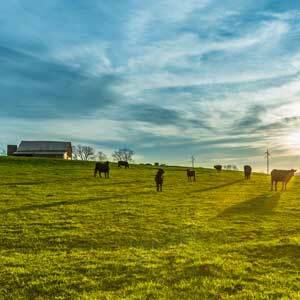 Looking to finance input costs for your crop or livestock operation? 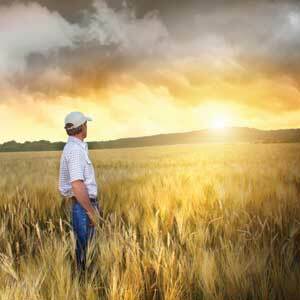 Look no further, Town & Country Credit Union has financed ag operations since 1939. Whether it’s for corn or calves we have you covered. We know running a farming or ranching operation is expensive and takes hard work, but this year, Town & Country Credit Union is making getting the best rate on your ag loans easy. Our agriculture loan rates are some of the lowest we've seen for operating loans, machinery loans, real estate loans and livestock loans. We want to make getting your operation funded for this year simpler than ever. There’s never been a better time to move your ag loans to Town & Country Credit Union. Contact us today to find out how you can save. Need a new tractor for pulling the planter or a new combine to harvest your excellent crop? Or maybe a new feed wagon for the cows? 3-7 year terms available, offering competitive fixed and variable rates. Call one of our Ag Loan Officers today to find out more. Are the neighbors selling the farm, or is a farmer you know retiring? Maybe you want to refinance an existing loan on a better rate and term. 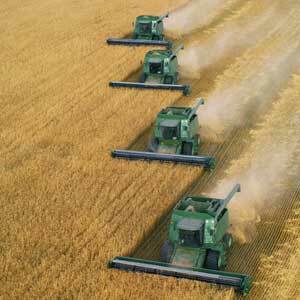 Town and Country Credit Union offers financing for many types of Agricultural land needs. 3-25 year terms, offering competitive fixed and variable rates. We also offer loans for land improvements and new buildings or structures. Looking to expand your herd? 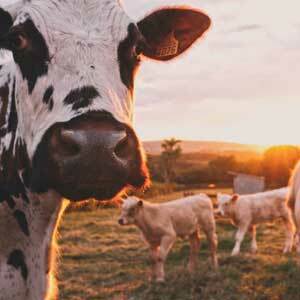 Look no further, Town & Country Credit Union has financed livestock operations since 1939. Whether it’s buying feeder calves, bred heifers, cows, bulls, or buffalo we got you covered. Offering 3-7 year terms, with competitive fixed and variable rates. Call one of our Ag Loan Officers today to find our more. In the Red River Valley and Western North Dakota drain tile has become a pivotal part of many operations. Town & Country Credit Union has worked with several producers to improve their farm land by adding drain tile under non-preforming acres. We offer competitive terms and rates. No project is too big or small for us. Keeping your tools, equipment, and livestock in a well-kept building or shop can save many years of wear and tear and add efficiency to your operation. Town and Country will work with you to expand or build new shops, machine sheds, or livestock facilities to maximize the condition of these important assets and keep them sheltered from the North Dakota weather. Whether it is a bunker ring, grain bagger, a dryer or an entire grain set up, Town & Country Credit Union understands the importance of having the ability to handle your grain and to be able to store your grain in a cool dry place. 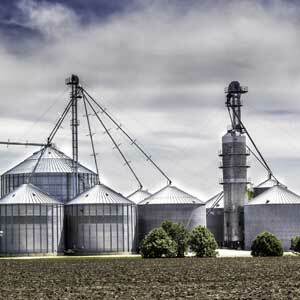 We offer competitive terms and variable or fixed rates on all of your grain storage needs. We have experience working with industry expects at Cargill and Farm Service Agency to name a few to maximize the most cost effective way for producers to build a bin site.